Venkaiah Naidu asked young lawmakers to learn from the 'inspiring' contributions made by great parliamentarians, including the Constitution's architect BR Ambedkar, first prime minister Jawaharlal Nehru and first home minister Sardar Vallabhbhai Patel. 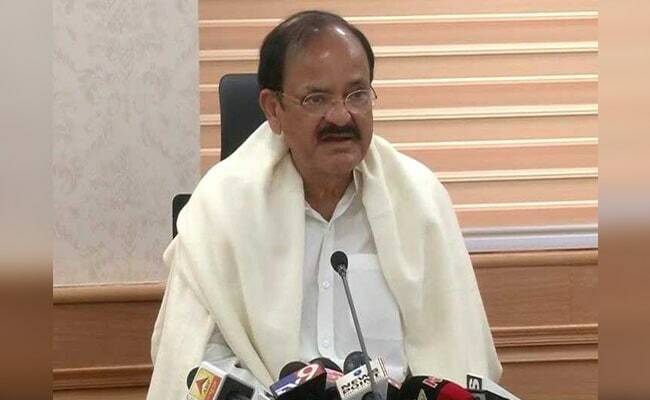 New Delhi: National Democratic Alliance's vice-presidential nominee M Venkaiah Naidu today asked lawmakers to be "extra careful" not only about their image but also the institution of Parliament, saying people were "watching". He also asked young lawmakers to learn from the "inspiring" contributions made by great parliamentarians, including the Constitution's architect BR Ambedkar, first prime minister Jawaharlal Nehru and first home minister Sardar Vallabhbhai Patel. "There is no dearth of TV channels these days. The essence of what I'm trying to say is the message is reaching people...People are watching all of us (through media). So, we have to extra careful, not only about the image, but also the institution," he said, while addressing an award function in the national capital. Mr Naidu made the remarks at Lokmat Parliamentary Awards 2017, organised by the media house from Maharashtra. BJP veteran LK Advani and senior JD(U) leader Sharad Yadav, members of Lok Sabha and Rajya Sabha respectively, were among those felicitated at the function. The event was attended by Vice-President M Hamid Ansari, former prime minister Manmohan Singh, Union Minister Nitin Gadkari, senior Congress leader Mallikarjun Kharge, former Lok Sabha Speaker Shivraj Patil and NCP chief Sharad Pawar among others. Mr Naidu said lawmakers should allow Parliament to take decisions after the "government proposes and opposition opposes" and stressed there should be no disturbances in the House. "I say, in the Parliament, the opposition must have a say, but the government must have its way at the end of the day. That is the principle of democracy. "We are all there in Parliament, we are not enemies, but we are political rivals. You should not treat others as your enemies," he said.